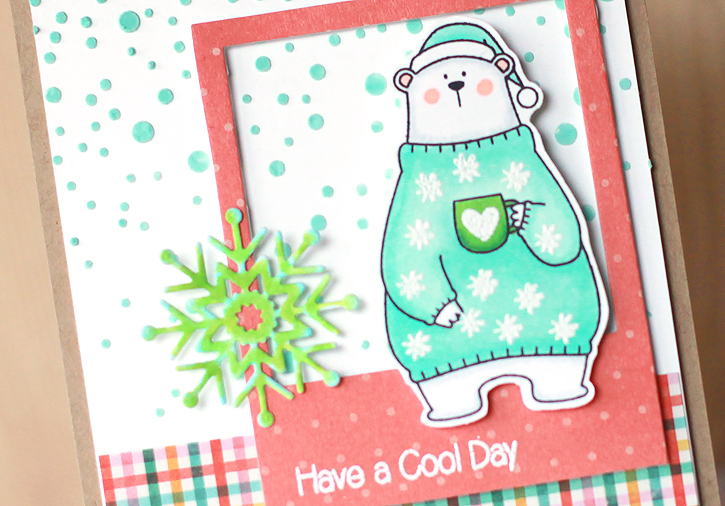 The MFT Stamps BB Cool Day stamp set has such a cute polar bear. Who knew polar bears could be so cute when they're wearing sweaters and holding a mug?! I created a card with him and I have a quick tutorial to share on how the card came together. Here is the finished card. And here are the steps to make this card. Cut a kraft cardstock base at 4 1/2 x 11" and score at 5.5". Cut a white panel out of Neenah Solar White cardstock at 4 1/4 x 5 1/4". Cut patterned paper strips at 4 1/4 x 1" and 4 1/4 x 1/4". Cut a frame with the Lawn Fawn Say Cheese die out of patterned paper. Add a snowflake background to the front panel using the Simon Says Stamp Falling Snow stencil. Adhere the panel to a craft mat with removable adhesive. Scrapbook Adhesives dot runner is my favorite because it comes off so easily. Tape the stencil over the panel. Scoop out a little texture paste. Press Evergreen Bough distress ink on the mat and mix with paste. Spread over stencil with a palette knife until smooth and then remove excess. 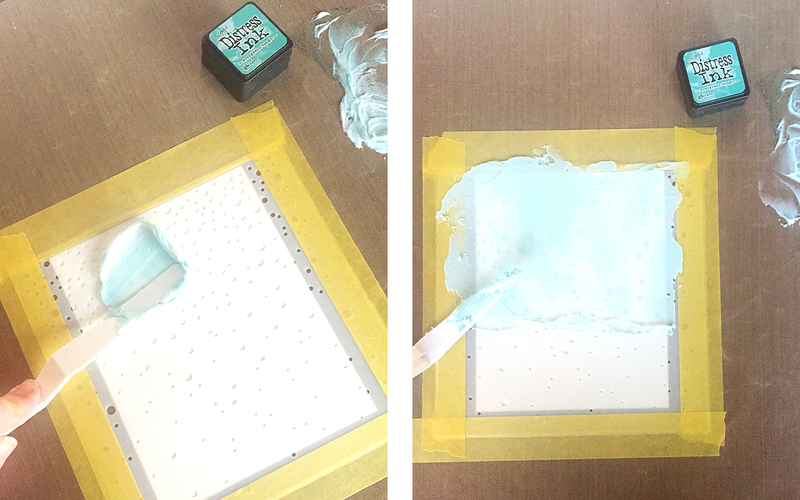 Lift the stencil carefully and set panel aside to dry. 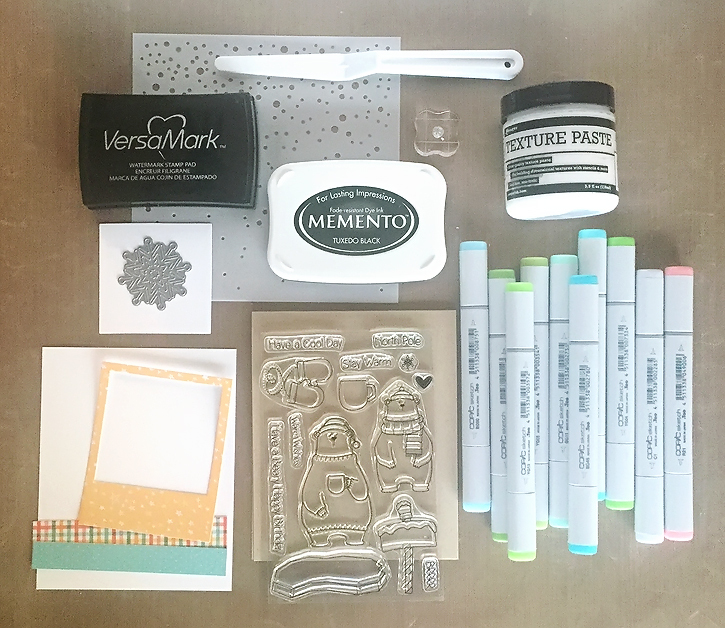 Stamp and cut out the polar bear and color with Copic markers. Stamp tiny snowflakes on the bear's sweater, heart on his mug and sentiment on the frame with versamark ink and heat set with white embossing powder. 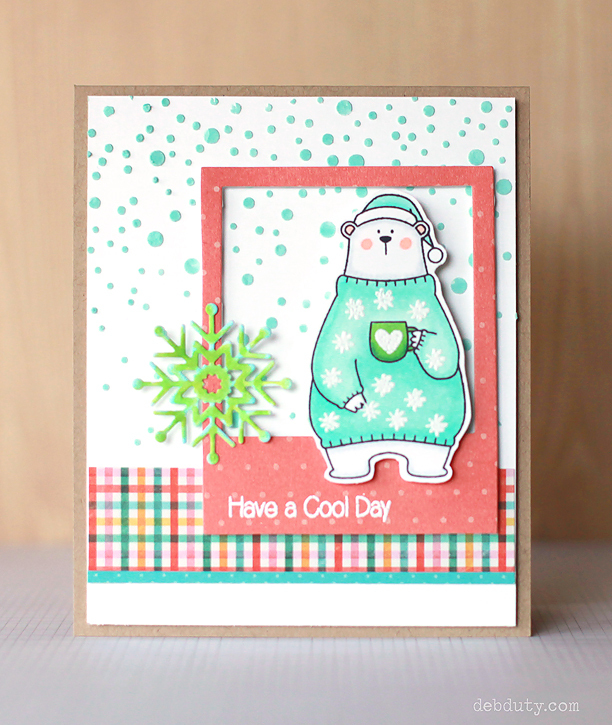 Cut out the snowflake with the Simon Says Stamp Abby die and color with Copic markers. Here are the colors I pulled for this card. Assemble card as shown with one layer of foam adhesive on the frame and two layers on the bear where he isn't touching the frame. Also adhere the panel to the kraft base with one layer of foam adhesive. I am linking to the Simon Says Stamp Wednesday Challenge. 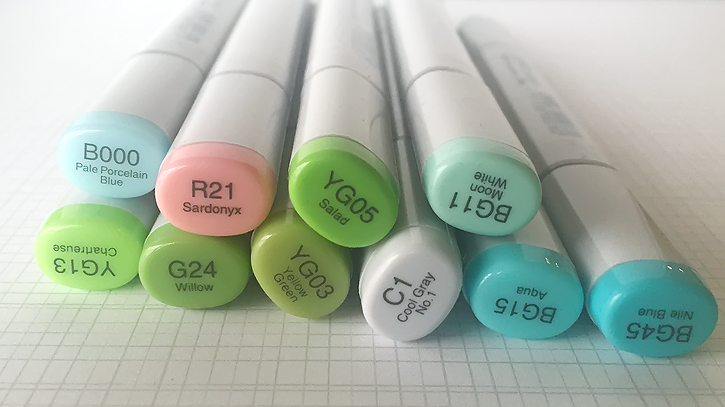 Hope you enjoyed today's tutorial and hope you have a wonderful weekend! This is very cool! Love the colors you put together and pulled out of the plaid! Thanks so much for joining us at the Simon Says Stamp Wednesday challenge! Adorable card, Deb, I'm going to have to try out tinting my embossing paste! This card is just way too cute! 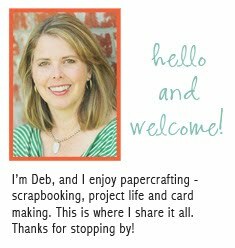 This is SO cute, Deb! Awesome job!